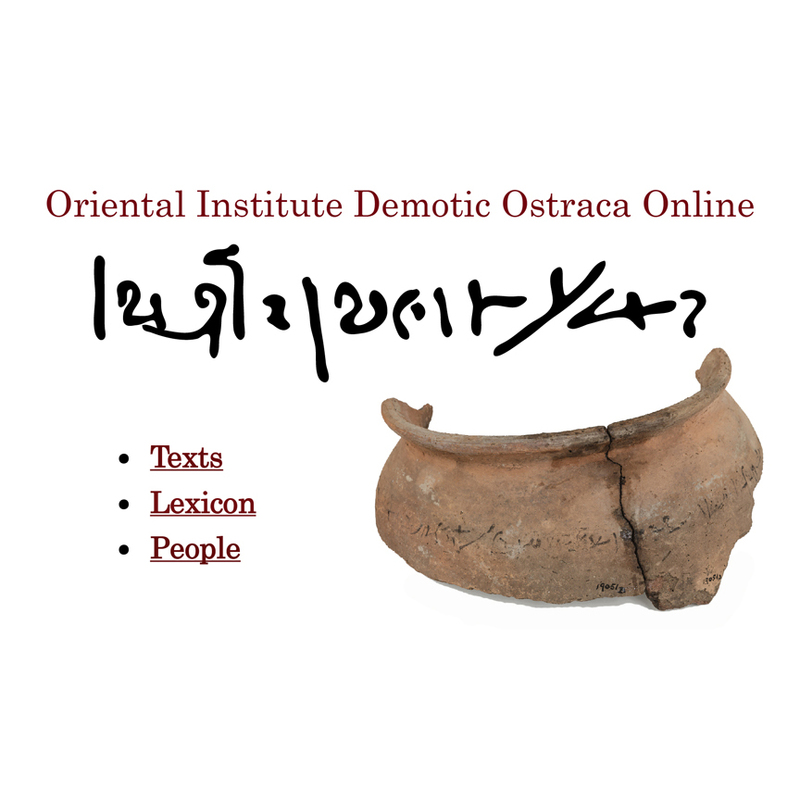 Oriental Institute Demotic Ostraca Online was developed as both a scholarly research tool and a means for the publication of the unpublished Oriental Institute Demotic ostraca. It is our aim to make available all of the Demotic ostraca in this collection, both published and unpublished, to scholars worldwide in a format that will allow for complex searching and sorting criteria as well as quick and easy updating. This will be accomplished through periodic updates as additional texts are edited and entered into the database.